1) (a Sept deriving their name from Maoileoin, nephew of Roderick O’Conor, last Monarch of Ireland of the Milesian line; Edmond O’Malone, of Kilgarvan, co. Westmeath, was Chief of the Sept, temp. Henry VII. and Henry VIII. ; Edmond Malone, Esq., of Ballinahowna, same co., s. his uncle as Chieftain, 1758, now represented by his descendant, John Malone, Esq., of Baconstown, same co.). Vert a lion ramp. or, betw. three mullets ar. Crest—A man in complete armour, in the dexter hand a spear resting on the ground all ppr. Motto—Fidelis ad urnam. 2) (Ballynahowne, co. Westmeath; Fun. Ent. Ulster’s Office, 1686, Anne, wife of Edmond Malone, son of Edmond Malone, grandson of Edmond Malone, and great-grandson of Edmond Malone, all of the same place). Vert a lion ramp. betw. three mullets ar. 3) (Baron Sunderlin, extinct 1816; Richard Malone, Esq., son of Edmond Malone, the second son of Richard Malone, Esq., of Baronstown, co. Westmeath, descended from Edmond Malone, Esq., of Ballinahown, same co., temp. Queen Elizabeth, of an ancient Irish Sept of the same race as O’Conor, King of Connaught, was so created 1785, and d. s. p.). Quarterly, 1st and 4th, vert, a lion ramp. or, betw. three mullets ar. ; 2nd and 3rd, ar. on a chev. az. betw. three demi unicorns ramp. gu. as many acorns or. Crest—A man in complete armour holding in the dexter hand a lance, and on the sinister arm a shield all ppr. Supporters—Dexter, a unicorn; sinister, a pegasus, both ar. collared and chained az. Motto—Fidelis ad urnam. 4) (Dublin; Edmond Malone, Sheriff of Dublin. 1604, son of John Malone, Sheriff of Dublin, 1581, of the Sept of O’Malone, co. Westmeath. Visit, city of Dublin, 1607). Or, on a bend az. three crosses pattee ar. Crest: A squirrel sejant ar. holding betw. the fore paws an acorn ppr. 5) (co. Wexford; Reg. Ulster’s Office). Vert a lion ramp. or, betw. three mullets ar. Crest—A man standing in complete armour, a pike in the right hand all ppr. on the left a shield or. According to the Etymological Dictionary of Family of Christian Names , Maol Eoin, meaning Bald John, was a descendant of the house of O’Connor, who were Kings of Connaught (a kingdom in western Ireland in medieval times), who shaved the his head in honor of St. John (perhaps he was a mon), was the founder of this family, as his name became corrupted to Malone. This Irish surname is an Anglicized form of the Gaelic last name O’Maoil Eoin, meaning “the descendant of the devotee of St. John” and is the name of an ecclesiastical (religious) family from Clonmacnoise (a monastery in county Offaly along the River Shannon). Eoin means John in English, or Loannes in Latin. The family first became established in Connacht. 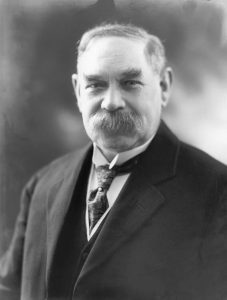 However, Edward MacLysaght, a renowned Irish genealogist of the twentieth century, states this surname is often pronounced Maloon and is likely a derivation of the last name Muldoon, which is an Anglicized version of the Gaelic last name O’Maolduin, a descenad of Maolduin, a personal name composed of the words maol (chieftain) and dun (fortress). Others claim the religious origins of the name were contrived by historians at a time when it was beneficial families to trace their genealogy with religious roots. In this line of thought, since the word maol means bald, the Malone surname could be a locational name for a person who lived near an area lacking trees or a thin landmass (such as a peninsula). Common spelling variants or names with similar etymologies include Maloon, O’Malone, and Muldoon. 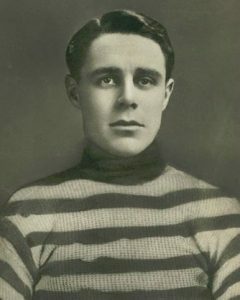 It is believed the name Maloney is a distinct name with a separate history and origin. The last name Malone ranks 426th in popularity in terms in the United Status as of the 2000 Census. The name ranks particularly high in the following five states: Tennessee, Alabama, Mississippi, Ohio, and Arkansas. The surname Malone frequency/commonness ranks as follows in the British Isles: England (935th), Scotland (564th), Wales (1,521st), Ireland (108th) and Northern Ireland (394th). In England, it ranks highest in Northumberland and Lancashire. In Scotland, it ranks highest in Wigtownshire. In Wales, it ranks highest in Anglesey. In Ireland, it ranks highest in Clare. The name is also present throughout the remainder English speaking world: Canada (1,805th), New Zealand (1,064th), Australia (651st), and South Africa (10,560th). Reverend William Malone (1586-1659) was a Jesuit Missionary in Ireland who is documented in the Annals of Clonmacnoise. An early marriage involving this name was Elizabeth Malone to George Kenedie at St. John the Evangelist, Dublin in 1623. The earliest recorded bearer was a person bearing the surname whose first name is not known who was born in Ireland aroundf the year 1530. 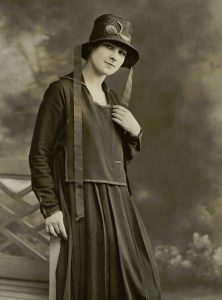 He married Honora MacCoughlan Dillon and had a son with her named Edmond. Edmond was born in Westmeath around 1550 and he married Margaret D’Alton, with whom he had a son also named Edmond. This Edmond was born in Ballyanhown in around 1575 and he married twice: Catherine Pettyt and Rose Coghlan. He had four issue: Mary, Edmond, John, and Jane. His son Edmond Malone was born in 1601 and he married Rose Byrne with whom he had a son named Edmond. This Edmond was born in Balliantown, Westmeath and he married Mary Fox in 1644, with whom he had two issue: Anthony and Edmond. His son Anthony Malone was born in Ireland in 1645 and he was the father of Richard Malone. This Richard was born in Baronstown in 1674 and he had a wife named Marcella Malody with whom he had five issue: John, Anthony, Edmund, Richard Jr., and Francis Malone. His son Edmund was born in Ireland in 1704 and married Catherine Collier in Kent, England. They had the following issue together: Richard, Anthony, Benjamin, and Edmond. His son Benjamin Mark Malone was born in Virginia in the American Colonies in 1740. He married Suzannah Wyannie and had the following children with her: Walter, Ephraim, Sarah Alice, Wyannie Lavinia (Adams), David, and Thomas W. Ephraim Malone was born in Charlestown, South Carolina in 1765. He married twice: Jane Tedder and Elizabeth Marie Tedder. Prior to his death in 1812 in the Bahamas, he had the following issue: Eliza, Benjamin, Ephraim Rowland Waters, Anne (Russell), and Wyannie (Russell). His son Benjamin Sr. was born in Hope Town Bahamas in 1802 and he married Jane Thompson with whom he had the following children: Mary Anne (Bethel, Maria, Benjamin Jr., David, Elizabeth (Sawyer), Lucretta (Wolls), Elize, and Jane. His son Captain Samuel Malone Sr. was born in 1837 and married Effie Albury with whom he had a son named Samuel. Captain Samuel Jr. was born in 1864 and he married Susan Roberts, with whom he had a son named Franklin Cleveland Malone, born in 1885. Franklin married Mary Sawyer and had a son with her named John Patrick Malone who was born in 1913 in the Bahamas, married Olga Aurora Nunez, and had issue with her prior to his 1984 death in Florida. A one Daniel Malone I was born in Killucan Ireland in 1620. He went to Virginia and had a son named Daniel II. Daniel Malone II was born in Ireland in 1642 and went with his father to America. He married Susan Floraday and Mary Harrison and had the following children: Nathaniel Burwell, George, Daniel III, William, Elizabeth (Dupuy), Robert, John, and Michael. The famous genealogist Bernard Burke’s book “The Landed Gentry” discusses one branch of this family: Malone of Bartonston. John Richard Malone, Esquire of Barnston in county Westmeath was Justice of the Peace and High Sheriff in 1852. He was born in 1817 and in 1844, he married Elizabeth, daughter of Henry Peisley L’Estrange of Moystown, and he had children with her: 1) John Richard (Captain Westmeath Rifles) and 2) Henry L’Estrange (Captain 16th Lancers). Burke claims the family is one of the most ancient families in the country of Ireland, who still hold their hereditary property, is an offshoot of the royal House of the O’Connors, Kings of Connaught. 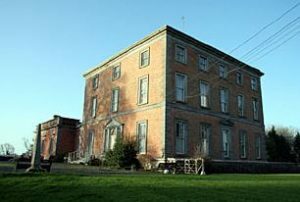 Their old residence was Ballynhown Court, which was possessed by the family for nine centuries, and along with Litter, Cartrons, Palace Park, and other seats, made them one of the largest landed families in county Westmeath. Emond Malone was Esquire of Ballynahown who, in 1559, married Margaret, daughter of Richard D’Alton, and had a son named Edmond. This Edmond married Rose, daughter of John Coghlan, in 1599 and later he married Catherine Pettyt. By the later he had a son named John and a daughter named Mary (who married John Dillon). John had a son named Edmond Malone, Esq. of Ballynahown, who in 1617, married a daughter of Garrett Byrne, who left and son and successor with her also named Edmond. In 1644, this Edmond married Mary, daughter of Brazel Fox of Kilcoursy, and had two sons with her: Edmond and Anthony (of Baronstown, married Mary Reilly and had issue with her). His son Edmond married Mary Fox and had a son named Edmond. This Edmond Malone was Esquire of Ballynahown and married Anne, daughter of Henry L’Estrange, in 1674, and they had three sons together: Richard, Henry (of Litter, married Margaret L’Estrange and had two daughters with her), and Anthony (married Bridger, daughter of Henry Talbot). 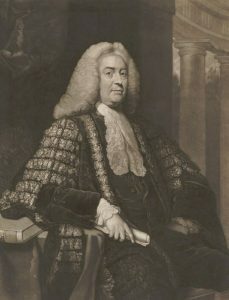 Richard married Anne L’Estrange and had a son named Richard Malone, Esquire of Ballynahown who, in 1707, married Anne, daughter of Sir Thomas Crosby, and had issue with her: Edmund (member of Parliament for Ardfert who married Ruth Judge of Gageborough), Henry, Anthony (Reverend, married Miss Hynanton), and Elizabeth (married Robert Holmes of Peterfield).He was succeeded his second son, Henry Malone, who married Anne Jones. They had a son teogether named Edmond, who in 1774, married Mary, daughter of John O’Connor of Mount Pleasant, and they have five children together: Edmond, John, Henry (married Mary Anne Mooney), Maria, and Anne. The eldest son Edmond, in 1813, married Henrietta Chamley, and he had three children with her: Edmund, John Richard, and Harriette. The Malone Coat of Arms (erroneously called the Malone Family Crest) is blazoned in heraldry as follows: Gules, a lion rampant between three mullets argent. Crest: A man in armour spear in hand resting on the ground all proper. 2) Luke Malone in Dover, 1670, who married Jannah Clifford (daughter of John?) in 1677 and had issue with her: Sarah (1679), Joseph, Luke, Elizabeth, and Nathaniel. Other settlers bearing this last name in colonial American include Dennis Malone (Virginia 1706), Michael Malone (1742), Anna Maria Malone (Philadelphia 1758), and Abraham Malone (1773). In Canada, one of the first settlers with this name was Henry Malone who arrived in Nova Scotia in 1745. In Australia, one of the earliest bearers was Michael Malone, a stone cutter by trade, who arrived in the late 1820s or early 1830s and settled in Tasmania (then called Van Diemen’s Land). In New Zealand, one of the earliest settlers was Michael Malone, who came to the city of Wellington in 1868 aboard the Gertrude. We have 5 coats of arms for the Malone surname depicted here. These 5 blazons are from Bernard Burke’s book The General Armory of England, Ireland, and Scotland, which was published in 1848. The bottom of this page contains the blazons, and in many instances contains some historical, geographical, and genealogical about where coat of arms was found and who bore it. There are hundreds of notable people with the Malone surname. This page will mention a handful. Famous people with this last name include: 1) Karl Anthony Malone (1963) who is a retired professional basketball player from Summerfield, Louisiana who spent most of his NBA career playing for the Utah Jazz, 2) Maurice Joseph Cletus Malone (1890-1969) who was a Canadian hockey player from Quebec, known as “Phantom Joe”, who played in both the NHA and NHL and was the only player to ever score more than seven goals in a single game, 3) George Wilson Malone (1890-1961) who was a Republican Senator from Nevada, 4) Peter Heywood Malone (1928-2006) who was mayor of the city of Nelson from 1980-1922, 5) Moses Eugene Malone (1955-2015) who was an American basketball player in the ABA and NBA from Petersburg, VA who played for ten different teams, 6) Edmond Malone (1741-1812) who was an scholar and editor of the works of Shakespeare from Dublin, Ireland, 7) Jena Malone (1984) who is an American actress and musician from Sparks, Nevada who is known for various roles such as Donnie Darko and Pride & Prejudice, 8) Christian Malone (Gilla Críst Ua Máel Eóin) who died in 1127 AD and was an Irish historian at the Abbot of Clonmacnoise, 9) Dorothy Malone (1924) who is an American actress from the Golden Age of Hollywood, and 10) Joseph R. Malone (1949) who is a Republican that served in the New Jersey General Assembly from 1993 through 2012. The two most common heraldic symbols in the Malone Coat of Arms (erroneously called the Malone Family Crest) are the lion rampant and the mullet (star).